"This is the Gyre – the most hostile environment in the galaxy." 250,000 years’ worth of junk floating in deep space, home to the shipwrecked Sittuun, the carnivorous Sollogs, and worst of all — the Humans. The Doctor and Amy arrive on this terrifying world in the middle of an all-out frontier war between Sittuun and Humans, and the clock is already ticking. There’s a comet in the sky, and it’s on a collision course with the Gyre... When the Doctor is kidnapped, it’s up to Amy and “galaxy-famous swashbuckler” Dirk Slipstream to save the day. But who is Slipstream, exactly? And what is he really doing here? 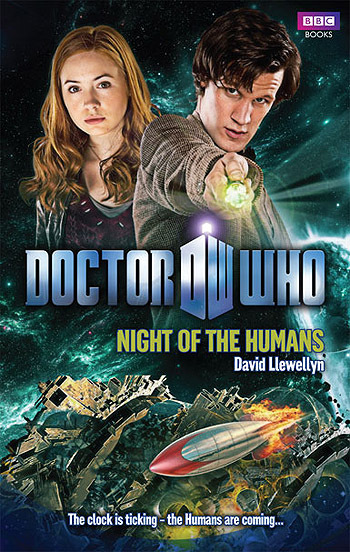 A thrilling, all new adventure featuring the Doctor and Amy, as played by Matt Smith and Karen Gillan in the spectacular hit series from BBC Television.